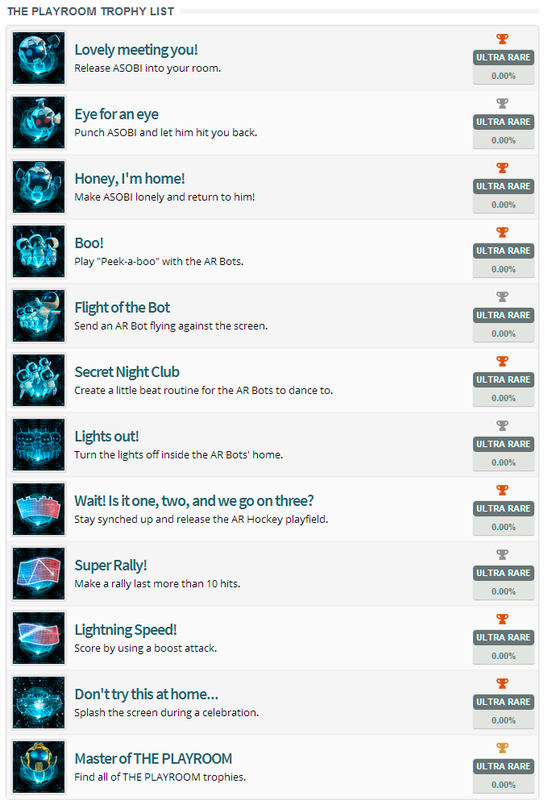 The first sets of trophies for two PS4 games have been discovered and posted online by Exophase. 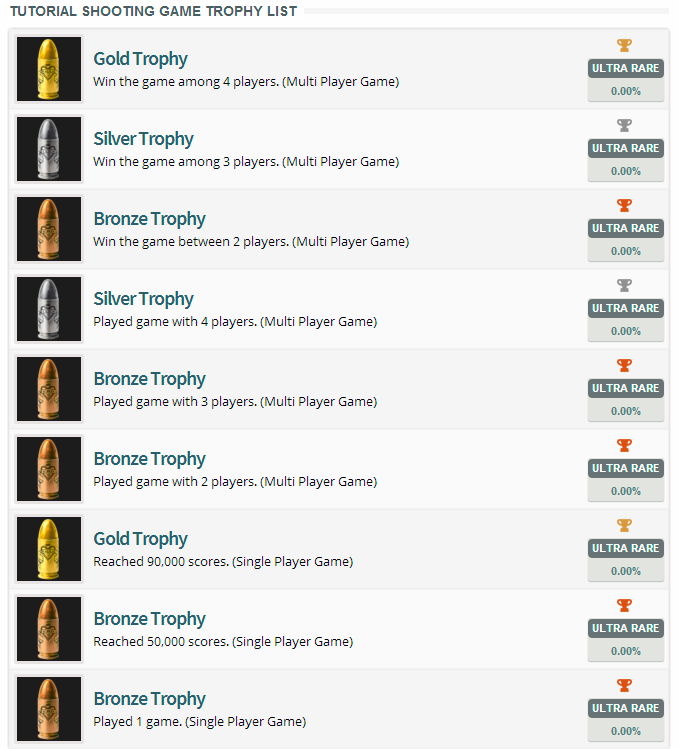 The first is definitely going to be the least exciting Trophy list you’ve seen and that’s most probably because it’s for the Playstation 4’s tutorial game – “Shooting Game”. The second list is a bit better though, even though it’s for another built-in/bundled title – “The Playroom“. Check out the Trophy list for The PlayRoom by clicking here.